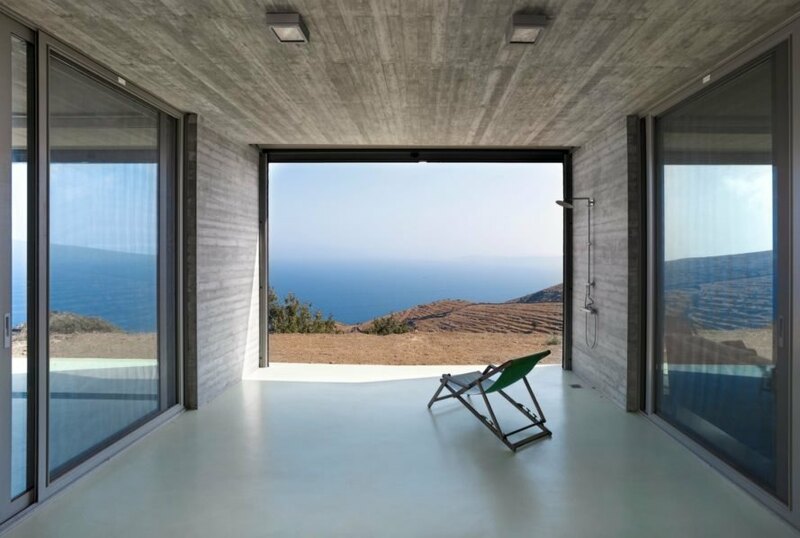 Located on a remote hillside on the Cyclades islands off the coast of Greece, the Parallel House pays homage to the beautiful sea that surrounds the island. 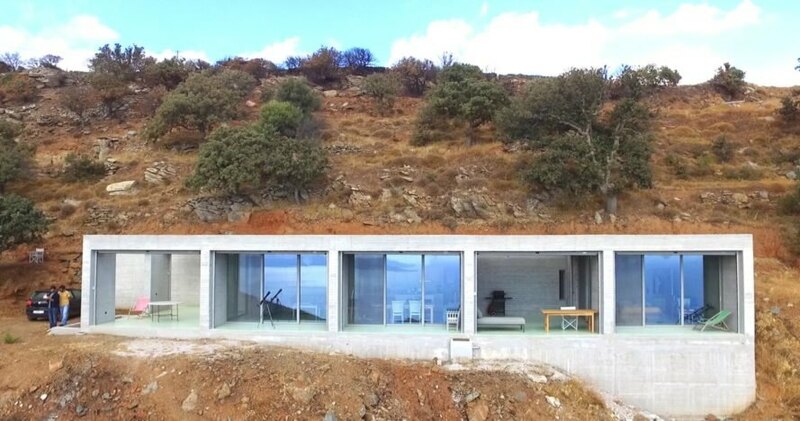 But behind its stunning design lies a completely self-sustaining home. 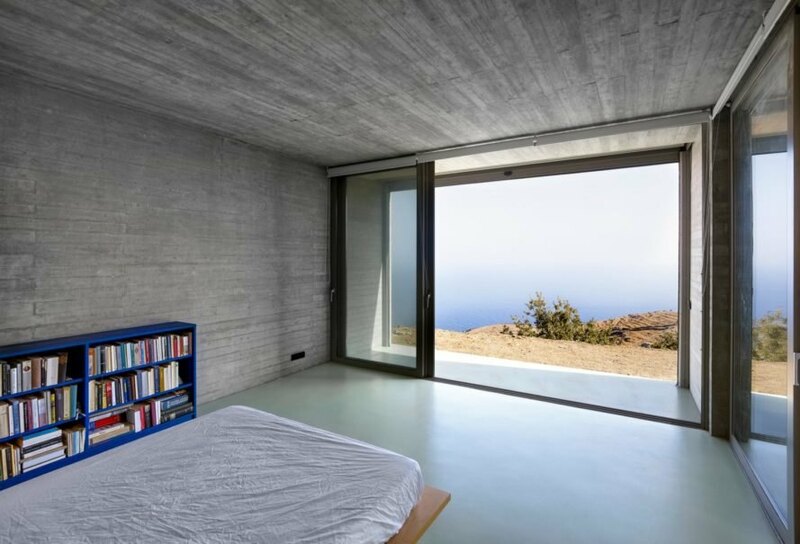 Designed by Athens-based En Route Architects, the contemporary, concrete residence runs entirely off the grid thanks to solar panels, a rainwater collection system and energy-efficient insulation. The 1,000-square-foot home uses traditional building methods to become completely self-sustaining. Because of the sloped topography of the building site, the backside of the home is partially embedded into the landscape, providing resilient, natural insulation to the home. 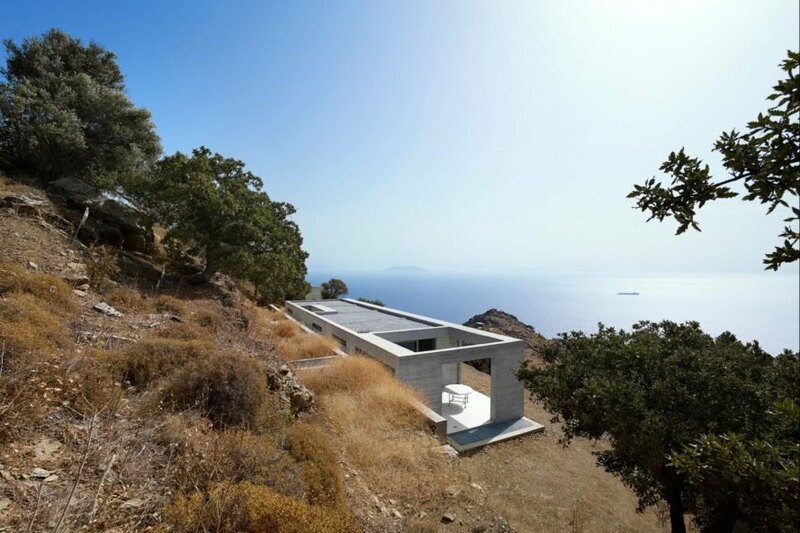 By submerging the back of the structure into the hill, the architects were able to open up the front facade to face the sea. The elongated volume is broken up into a series of large square sections that frame the views from different rooms. 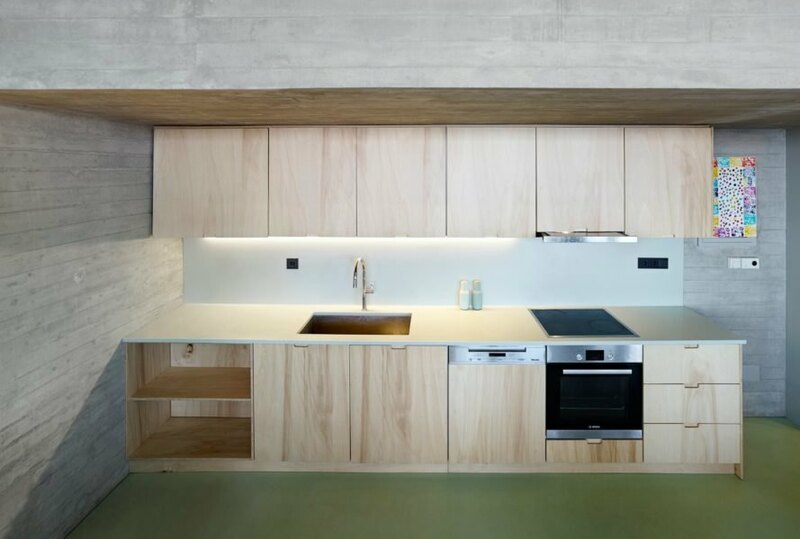 Made out of exposed concrete, the home boasts an impressive list of passive features that help reduce its energy and water usage. 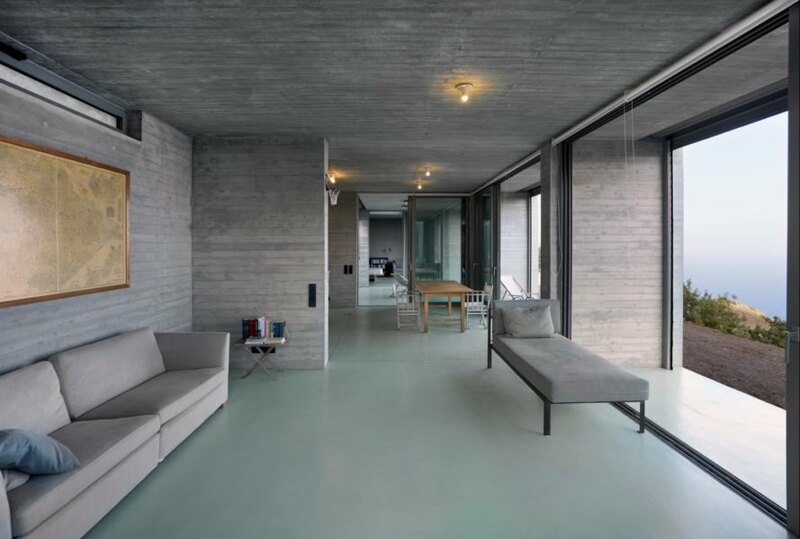 The concrete walls and flooring provide a tight thermal insulation to reduce the demand for electricity and maintain a stable, controlled temperature inside the home year-round. A recessed corridor in the back of the home enables cross ventilation to keep it cool through the searingly hot summer months. For water conservation, the roof was installed with a rainwater collection system that drains gray water into submerged tanks to be re-used as filtered water. Adjacent to the off-grid home, solar panels hidden within the landscape generate sufficient energy to power the residence.